​are described on the Science Operations web pages. The Large Binocular Cameras (LBC) are two wide-field cameras mounted on the prime focus swing arms of LBT. LBC Blue is blue-optimized for observations from approximately 3500 to 6500 angstroms, while LBC Red is is red-optimized for observations from approximately 5500 angstroms to 1 micron. The LBCs are used simultaneously (binocular mode). 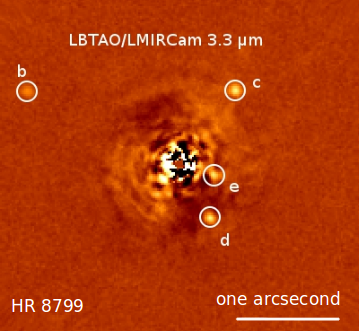 The LBC focal plane consists of four EEV42-90 CCDs (2048 x 4608 pixels, 13.5 microns x 13.5 microns per pixel). The focal plane scale is 16.9 arcsec/mm, and, thus, the average pixel scale for both LBC Blue and LBC Red is 0.2255 arcsec/pixel. Each CCD covers approximately 7.8 arcmin x 17.6 arcmin, with gaps between the chips of ~18 arcseconds (70 pixels). The science field of view is approximately 23 arcmin x 25 arcmin. MODS1 and MODS2 are a pair of matched low- to medium-resolution Multi-Object Double CCD Spectrographs/Imagers. The MODS are two identical two-channel spectrographs, one for each of the direct f/15 Gregorian foci of the LBT. Each MODS is a seeing-limited spectrograph and imager working in the 320-1100nm wavelength range with a 6x6-arcminute field of view. Gratings provide a spectral resolution of R~2000 and double-pass prisms provide a low-resolution (R=500-150) faint-object mode. Multi-object spectroscopy is accomplished using laser-machined focal-plane slit masks fed into the beam from a 24-position mask cassette. A beam selector below the slit carries a dichroic that splits the incoming beam into separate red- and blue-optimized channels at a wavelength of 565nm. 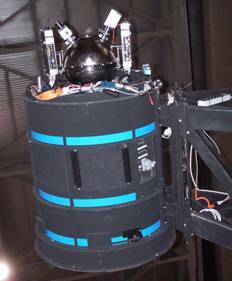 LUCI 1 and LUCI2 are a pair of infrared multi-mode instruments. In seeing-limited mode, each has a 4 arc-minute square field of view and will be capable of long-slit and multi-slit spectroscopy as well as imaging in the near infrared zJHK bands from 0.89 (LUCI1) or 0.96 (LUCI2) to 2.44 microns. 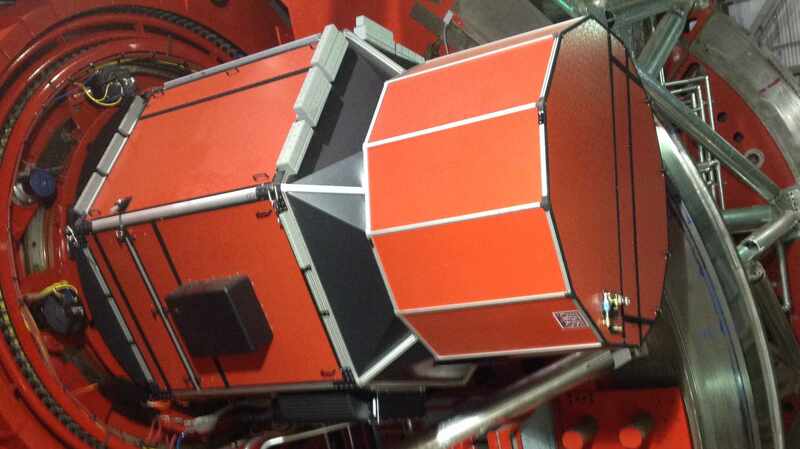 Each instrument includes diffraction-limited optics covering a 30-arcsecond field of view for use with the adaptive secondary mirrors. In seeing limited mode, the image scale is 0.12"/pix (N3.75 camera) for imaging and 0.25 "/pix (N1.8 camera) for spectroscopy. With the N30 camera in AO mode, it is 0.015 "/pixel. Laser-cut slit masks reside in a jukebox inside the instrument cryostat. Various gratings provide resolutions from ~2000 for H+K to 6500-8500 in single band z,j,H,K in the basic modes. 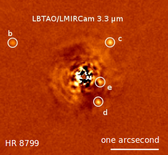 LMIRcam is a camera and coronagraph built to exploit the unique sensitivity and resolution of the LBT Interferometer. LMIIRcam is available in three modes: (1) Single and dual aperture non-coherent (direct) imaging - (2) Single and Dual aperture nonredundant mask imaging. - (3) Single aperture apodizing phase plate coronagraphy. The LMIRcam detector is a Teledyne H2RG device with sensitivity from 1-5 µm wavelength. The current electronics only enables the readout of a quarter of the array. The field of view is ~11"x11" with a pixel scale of 10.7mas/pixel. While optimized for 3-5 µm, LMIRcam can be sued at shorter wavelengths. Follow this link for more information on LMIRcam. Before applying, contact LBTI's PI . If you are interested in NOMIC, a mid-infrared (8-13 μm) camera, follow this link. 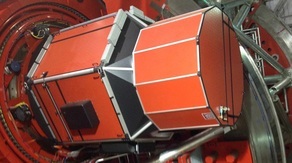 PEPSI is a spectrograph located on a 2mx6m optical table in the telescope pier, inside a pressure- and temperature-stabilized chamber. 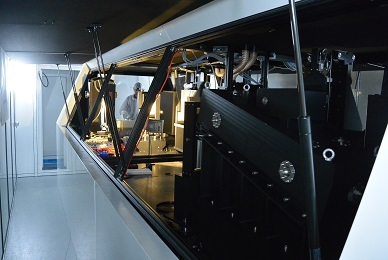 It receives light from the polarimeters and permanent focus stations via 45m long fibres, coupled with image slicers. The polarimetric mode provides a resolution of 120.000, while resolutions of 43.000, 120.000 and 270.000 can be obtained with the permanent focus stations. The two spectrograph cameras each are equipped with a monolithic 10.3kx10.3k CCD, with 9 µm pixels. For each spectral order, four spectra are recorded, i.e. two polarization states or object/sky for each telescope. The entire spectral range from 383 to 907 nm can be covered in three exposures. Click here for more information on PEPSI and here for a complete description of the instrument.